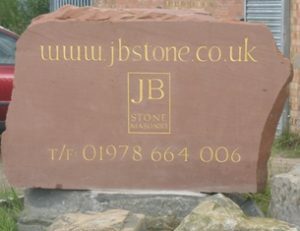 JB Stone Masonry provides a range of bespoke stone masonry products and services to customers in Chester, Wrexham, Cheshire, Flintshire, Denbighshire, and on the Wirral. We specialise in stone masonry supply, fireplaces, hearths, memorials and masonry design as well as in conservation and restoration, stone sawing, carving, lettering and sculpture. 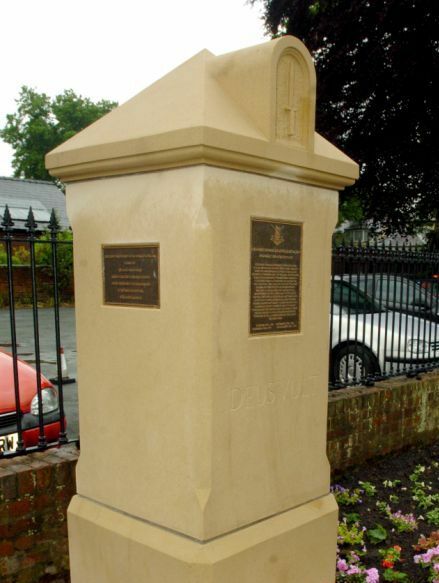 All stone masonry work is carried out in our yard on the Wrexham Industrial Estate, just a few miles away from Chester and close to the Cheshire border. We have an excellent stock of UK-sourced natural stone available including limestone and Cheshire red sandstone; our yard also has several large stone saws and a well equipped workshop. 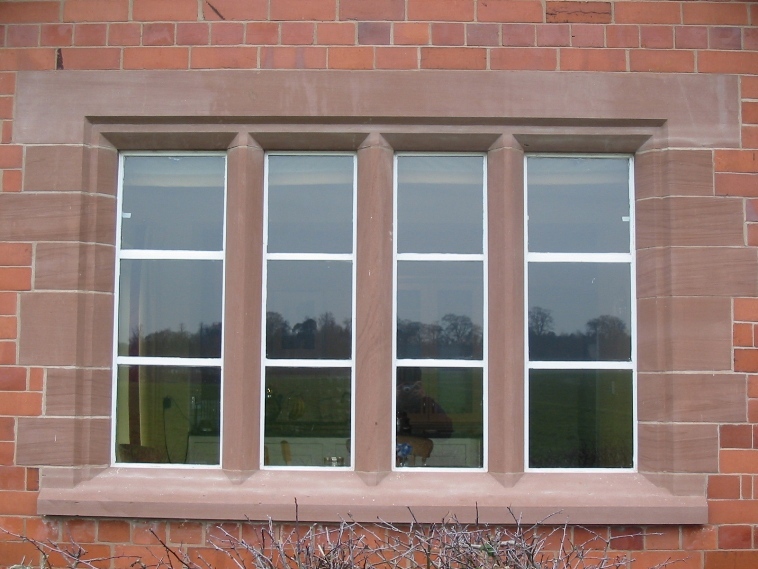 These facilities enable us to offer a huge range of stone masonry services and products to local customers in Chester and Wrexham and further afield across Cheshire, the Wirral and North Wales. Being able to combine traditional methods of hand tooling and finishing methods with the use of machinery where appropriate allows us to provide you with high quality products that are reasonably priced and meet your timescale. Even if you are not located in North Wales, Cheshire or the surrounding areas we can make some products such as staddle stones that can be shipped anywhere in the United Kingdom via pallet courier. Please give us a call on Wrexham (01978) 664006 for more information. 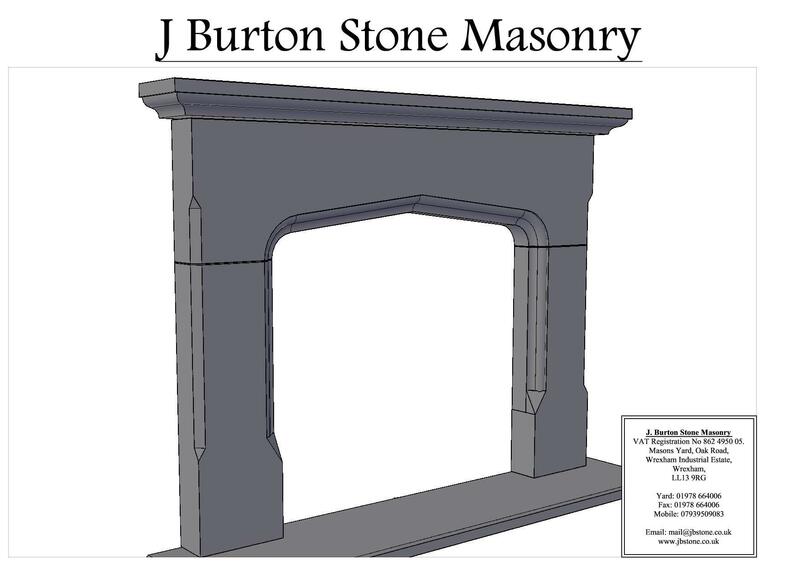 As a specialist stone masonry supplier, JB Stone Masonry has the facilities to design and create any size of bespoke natural stone fire surround and/or natural stone fireplace hearth. 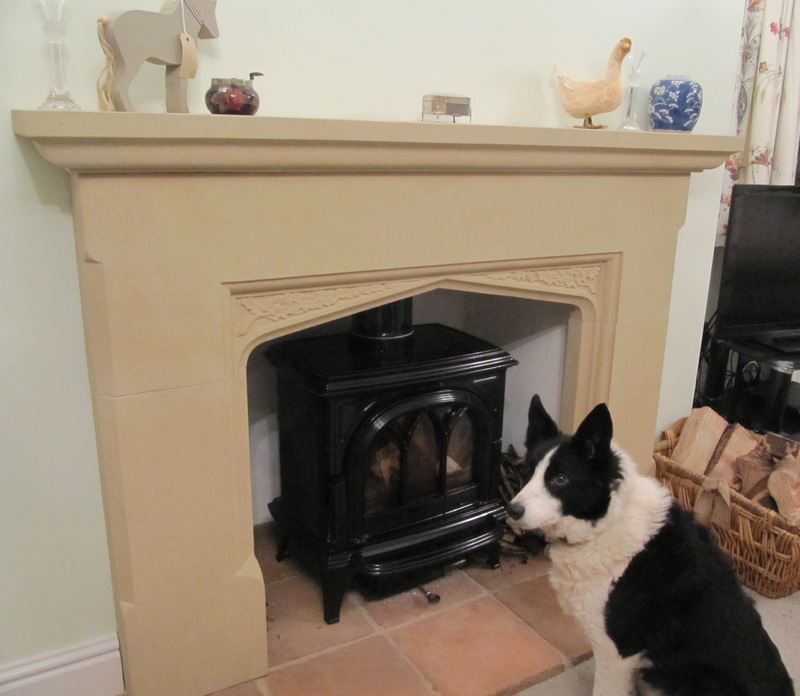 Hearths can be sawn to any size and thickness and we can also make round or curved hearths. 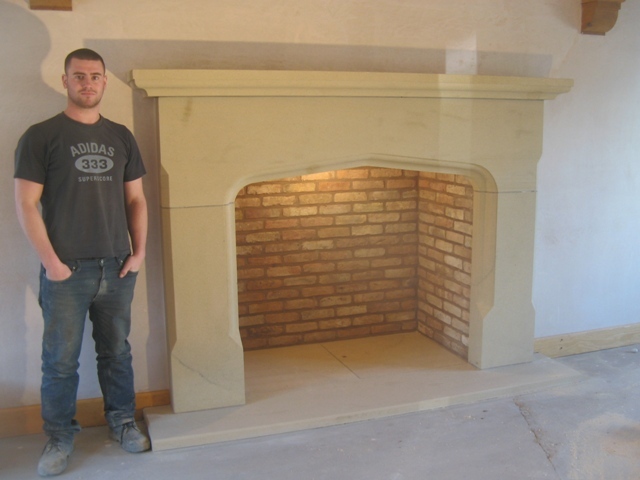 We use CAD to provide a full measuring and design service for every bespoke stone fireplace. 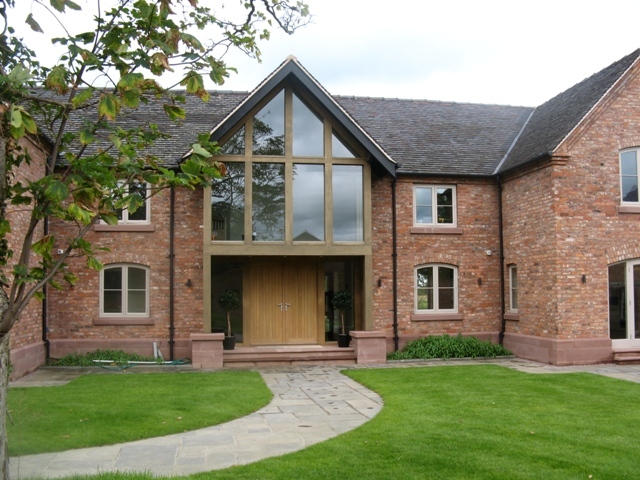 We’ve worked on many high end developments in Chester and Wrexham and across Cheshire, Flintshire, Denbighshire and the Wirral and we regularly make one-off items for private customers. When supplying stone masonry products for a new build project, we have the flexibility to work within your budget and will design and create stonework that will become the pride of your property. Our experience of working closely with architects and conservation officers means we do a lot of conservation and restoration work too. We’re dedicated to helping protect our architectural heritage and strive to produce work that’s sympathetic to existing architectural detail. Where the job requires, we’ll take our own templates and photographs to ensure any restoration and reproduction work is an exact replica of existing stonework. Whether we are replacing stone, patching, repointing or cleaning we do it with a great deal of awareness and sympathy for the existing stone work. We’ll often clean stone by hand to preserve the integrity of the original detail rather than use harsh mechanical methods. Because of this reputation for care and attention to detail, we’ve become a popular choice for church quinquennial restoration works. Our craftsmen can deliver custom-made stone masonry, carving, sculpture and lettering. Whether it’s basic stone sawing that’s needed or highly intricate hand-crafted stone masonry techniques, we’ll use our extensive stone masonry experience to provide you with exactly what you need. We offer a free consultation service to local customers in Chester and Wrexham as well as to those located further away in Cheshire, Flintshire, Denbighshire and the Wirral. Every enquiry is dealt with thoroughly and efficiently to make sure we’re giving you an accurate quotation. In some cases, customers need some guidance about the design and layout of certain jobs and thanks to our training and experience, we can assist you with all types of complex projects. Before manufacturing new masonry we will measure and take templates of all existing detail if necessary (essential when working with listed buildings). 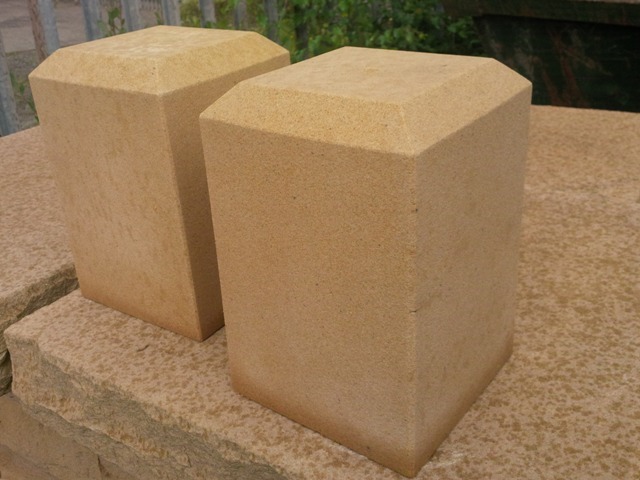 As we can supply a wide variety of sandstone, including Cheshire red sandstone, and limestone you can be confident we’ll make sure the choice of stone is in keeping with the existing building materials. Having been a stone mason since leaving school in 1994, John Burton established JB Stone Masonry in 2003 and prides himself on the reputation the company has for offering a one to one service between client and craftsman and combining a friendly and reliable approach with extensive experience of and enthusiasm for stonework and architecture. If you’d like to talk to John please call him on Wrexham (01978) 664006.